Are you excited about the royal wedding? The British seem to be having quite a lot of those recently, but not since the marriage of Prince William and Kate Middleton has one been such a big deal. Whenever one of the members of the British royal family gets married, the world seems to stop what it’s doing and pay attention. 72 million people streamed the wedding of William and Kate on YouTube alone, but that’s nothing compared to that of Prince Charles and Diana Spencer. It’s believed that 750 million watched the couple tie the knot back in 1981. It’s safe to say that most of those viewers weren’t even British. Many other cultures have long been interested in the royal family, all over the globe. Americans have even more of a reason to get behind this latest wedding, seeing as Meghan Markle was born in California. The actress has been an American all of her life, and she’s only the second US citizen to marry someone from the British royal family. Their wedding is going to be huge. With the big day fast approaching, Meghan’s life is soon going to change pretty drastically. There’s plenty that she’ll no longer be able to do, but she’s not the first woman to experience this. If you’ve wondered just how different your life can be after marrying a member of a royal family (not just the British one), this should give you a clear idea. When you’re a member of the royal family, you can’t really go out in public in whatever clothes you want. You have to look well-dressed, which usually means that formal attire is the outfit of choice. You’re representing the royal family everywhere you go – you have to look your best. That can be hard to get used to if you’re marrying into the family. Kate Middleton always looks the part whenever you see her out, and it’s made her something of a style icon over the last few years. However, she didn’t always dress so smart. Sometimes she just rocked jeans and a vest top for a casual look. It works for her, though. Meghan Markle might not be what you’d expect out of someone marrying into the British royal family. Among other things, she’s made a career for herself on TV and film, which included a brief stint on the game show Deal or No Deal. Meghan was one of the models who stood waiting for their number to be chosen so they could open their briefcase and reveal the amount inside. It wasn’t a massive gig, but it got her face on TV and gave her the exposure she needed to launch into the spotlight. It’s fair to say that she’s come a long way since modeling those briefcases on the show. When was the last time you saw a member of the royal family sat cross-legged on the grass enjoying the summer? Kate looks just like a normal girl in her twenties here. At the time, that’s exactly what she was. While she and William were dating at the time this photo was taken – it was at one of his charity polo matches – they were still in the early years of their relationship. Back then, Kate was just like the rest of us… apart from her boyfriend being a prince. We don’t think that Meghan Markle will be going to many ice hockey games now that she’s about to become a member of the British royal family. Before she and Harry became an item, though, the actress was a regular attendee at sports games like these. Here she is enjoying a match between the New Jersey Devils and the New York Rangers back in 2013. Judging by the people sitting around her, it would appear that Meghan is a fan of the Rangers. We wouldn’t mind going on a night out and bumping into Kate Middleton. Of course, it’s unlikely we’ll ever see her letting her hair down like this again, especially now that she’s a mother of three children. This photo was taken several years before she walked down the aisle with Prince William, during a night out with sister Pippa in London. From the looks of it, that taxi ride was a lot of fun. We’d love to have been a fly on the wall in there. Following her engagement, Meghan Markle announced that she would be leaving her career as an actress. After a slow start in the early 2000s, Meghan had managed to establish herself on TV, particularly in the legal drama Suits. Throughout the show’s first seven seasons, she portrayed the character Rachel Zane, a paralegal-turned-attorney. Her role in the series marked her final appearance on screen as an actress, but we’re sure we’ll see plenty more of her on the TV when she becomes Prince Harry’s wife. Kate Middleton and Prince William first met when they were both students at the University of St Andrews in Scotland. While the two of them studied there, they embarked on a relationship, something which has clearly stood the test of time. Kate studied at St Andrews for four years before eventually graduating with a Master of Arts in the history of art. This photo was taken on Kate’s big day before becoming an official graduate of the university. When you work as an actress, there are many events you have to attend to promote your show or film. As evidenced here, it’s possible to have fun still, even when you’re technically working. 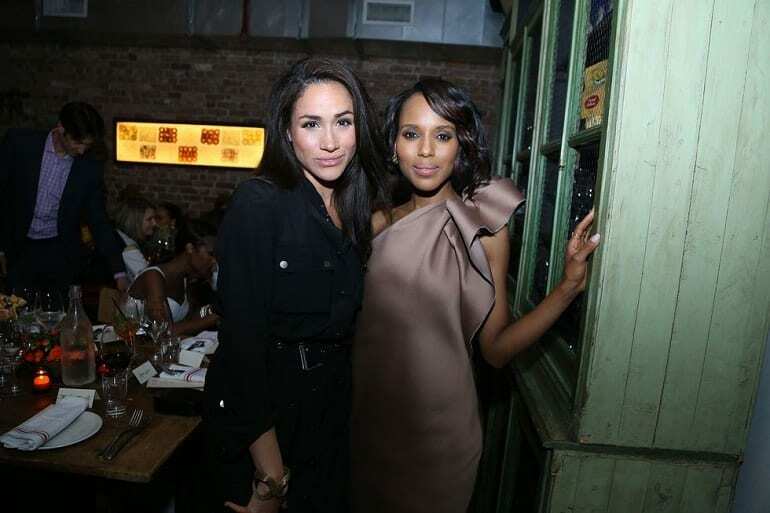 Meghan frequented many of these events while she was a main cast member on Suits, and she clearly struck up a good friendship with co-star Gina Torres. We’re sure the ladies appreciated any excuse to dress up and have a fun night out, especially after working so hard on the show. There’s nothing quite like spending a day with your mom. We’re sure Kate wishes she had more opportunities for some downtime with her mother, especially now that she has three kids of her own. The Duchess of Cambridge can’t go out on a shopping trip with her the way she used to during the early days of her relationship with William. We expect that if they were to, Kate would be the one buying now. Throughout its run, Suits and its cast have been nominated for a variety of awards. The more you get nominated, the more award ceremonies you get to attend as a potential winner. Of course, while the ceremonies are pretty great, it’s usually the after parties where all the fun is had. Meghan seems in pretty good spirits during this 2012 Golden Globes after party, and she looks pretty stunning too. Blue is most definitely her color. Being Prince William’s girlfriend, Kate met his family on many occasions before she eventually became his wife. While she might not have been regularly hanging out with the Queen, she struck up a good friendship with Prince Harry and whoever he was dating at the time. The girlfriends often spent time together while their partners competed in charity polo matches, which is where this photo was taken. Harry’s girlfriend back then was Chelsy Davy, daughter of businessman Charles Davy, who he was dating until 2009. When Meghan Markle announced her retirement from acting, she revealed that she plans to focus her efforts on humanitarian work. This isn’t surprising, considering that members of the royal family regularly get involved with charities and raise awareness for important matters. Meghan already has great experience in this, having done plenty of work for women’s rights and gender equality. The former actress has also been involved in several fundraising events, including this one for the Annual Charity Day at Cantor Fitzgerald. Although it’s hard to picture Kate Middleton without William by her side, she did have a life of her own before becoming a member of the British royal family. She enjoyed letting loose and having fun on her own, although at this event she couldn’t go too wild. After all, the man she was dancing with was Guy Pelly, William’s best friend. The pair both spent time together at a pre-Wimbledon party together in 2006. Judging by Kate’s smile when she left the party, she had a good time. Meghan Markle may be most experienced as an actress, but she isn’t afraid to get her hands dirty. Back in 2014, she competed in the DirecTV Beach Bowl during the Super Bowl weekend. The event has become a regular occurrence in recent years, with many celebrities putting their skills to the test against former NFL players. Meghan was on the winning team alongside stars like Shay Mitchell and Nina Agdal, but as you can see here, there was nothing but love between the two teams. The fashion of women in the royal family is often talked about and admired by many supporters of the British monarchy. It’s a good thing, then, that Meghan Markle knows a thing or two about clothes. The actress has been a regular in the audience of fashion shows, including this appearance during the 2014 Mercedes-Benz Fashion Week. We’re sure she’s picked up a few tips from the runway, although whether they’ll be any use to her now that she’ll be dressing like a royal, we don’t know. 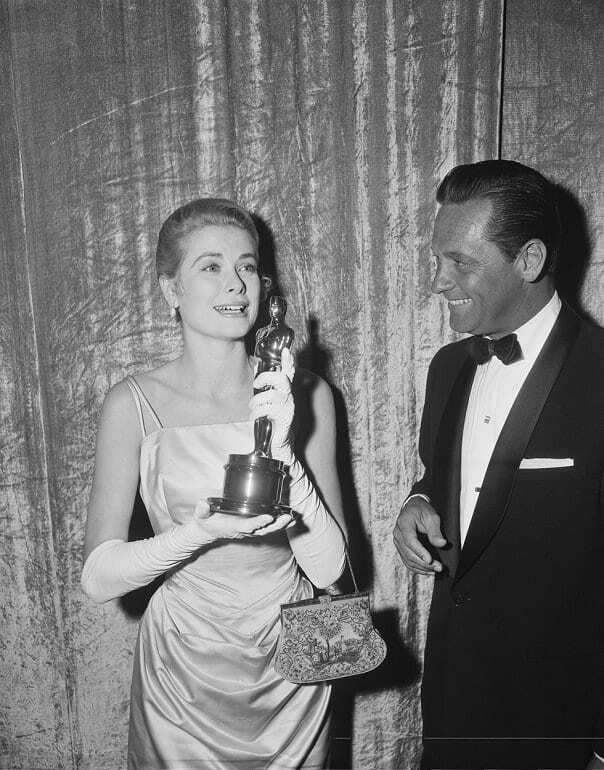 During her time, Grace Kelly was an incredibly accomplished actress. Her performances were so great that she won various awards throughout her career, including Golden Globes and Academy Awards. Pictured here is the actress on the night she received an Oscar for her role in the drama film The Country Girl. 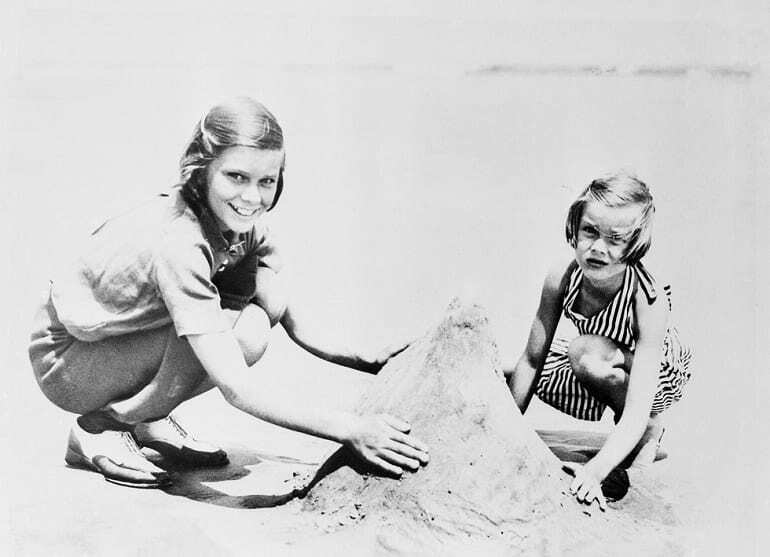 This was only a year before she became the Princess of Monaco when she married Prince Rainier III. Upon marriage, Grace had to give up her acting career, but the industry never forgot her. Kate Middleton’s looks are always so well received by the public. Many people are obsessed with what she wears, but when they aren’t looking at the clothes, they’re looking at her hair. Somehow, it’s always so perfect, even if it’s incredibly humid outside. The Duchess of Cambridge is lucky enough to have people around to help ensure that her hair remains on point, but she didn’t have that luxury some ten years ago. Kate Middleton with bangs is certainly a captivating look, to say the least. Although it’s now been closed, Meghan Markle used to run a site called The Tig that covered all manner of things, from food and travel to lifestyle and beauty. Working on the website meant that Meghan got to attend various beauty events, as well receive plenty of free products to use. Meghan could never say no to anything free, because who would? It’s a shame that the site is no longer running, but there won’t be any time for it in her schedule once she becomes a royal. The British royal family and horses are two things that go together perfectly. Even at the age of 92, Queen Elizabeth II still loves going for a ride on her horse every now and again. However, one member of the royal family who refuses to go riding is Kate Middleton. Her reasoning for this is because she was never taught to as a child, unlike her husband. That’s never stopped her attending eventing competitions and festivals, though, even before she was married. There are some things you just won’t ever see a member of the British royal family wear. Although she’s not yet married to Prince Harry, Meghan Markle’s dress sense has already started to adjust. Gone are the short skirts and vest tops she once wore. The new style definitely suits the former actress, but then again she’s always known how to look good, no matter what she wears. Her fashion might be more reserved than it used to be, but we can still remember great looks like these. Considering how happy and in love William and Kate always look, it’s hard to think that at one point the two separated. Details surrounding the break up are scarce, but it wasn’t too long before the pair reunited and became the married couple we know today. Rather than mope around following their split, Kate made sure to enjoy her life as a single woman. Even as a wife and mother, she’s always been a fierce, independent force, so it’s no wonder she made the most of being without a man. Have you ever seen a member of the royal family wear jeans? We’re not sure if the Queen would approve of this look of Meghan’s from back in 2006, but at least her style is changing. This is definitely the most casual we’ve ever seen the actress, although even this is still pretty glamorous. The photo was taken at an event in support of the National Kidney Foundation, further proof that Meghan is more than prepared for the humanitarian work that awaits her as Harry’s wife. Kate Middleton has always been able to look like she belongs in the royal family. There may not be anything special about her bloodline, but she was born to be a princess. Take this look that she wore to the wedding of Rose Astor and Hugh van Cutsem in 2005. It screams elegant princess-in-waiting and would surely get the royal seal of approval. Kate has worn so many stunning outfits over the years, but this was definitely a sign of things to come. The loss of Grace Kelly was a devastating one. As an actress, she wowed us, and as the Princess of Monaco, she blew us away. Her name says it all really – she was full of grace. Before the tragedy struck, and before she was even a royal, the actress was just a young girl growing up in Pennsylvania. She was fortunate enough to be born in an affluent family who were able to provide her with what she wanted, including family vacations to the beach. A simpler time, for sure. Vacations to the cold, snowy mountains of the Alps aren’t something that stops when you marry into the British royal family. At least, they don’t for Kate Middleton. The Duchess of Cambridge and her husband still frequent countries like Switzerland to enjoy what the mountains have to offer, although their vacations aren’t quite as active as they once were. Kate is more of a spectator than a participant these days, but she’s still partial to the odd bit of skiing. She’s been doing it for years, after all. Being such a popular name in the TV industry, Meghan Markle has built up a fair few friendships with A-List names. We’re excited to see how many of these people get an invite to her big day. Unfortunately for Meghan, once that ring’s on her finger, we doubt she’ll have as much time to spend with friends as she used to. Those royal duties take up a lot of time. Hopefully, she’ll find a way to still keep in touch with everyone. Kate Middleton has always been incredibly supportive of Prince William. The pair have known each other for close to two decades now, and she’s seen him through his ups and downs. When they were dating, Kate was always there to watch William at his various sports events. The two aren’t known for their PDA, but Kate still showed her boyfriend some affection after he worked up a sweat. It’s nice to know that this love that’s been going for years is still just as strong today. In 2015, Sofia Hellqvist became a Princess of Sweden when she married Prince Carl Philip. Before the two wed, Sofia was a reality TV contestant and glamor model, but she still knew how to look the part of a royal. During the christening of Carl’s niece Princess Estelle, Sofia stunned in her formal attire. The outfit showed that there was more to her than just a woman comfortable showing off her body. Carl obviously approved, seeing as he married her a few years later. When you’re in the public eye, you’re going to build up a legion of fans. Some celebrities forget that it’s these people who keep their career going and support them at both their best and their worst. Meghan is well aware of this, which is why she always makes time to stop for her fans whenever she can. Once Harry puts that ring on her finger, she’ll find herself with more supporters than she can count. She won’t be able to stop for a photo with all of them, though. Oh, to be young again. You’re never more carefree than when you’re a child. Back when this photo was taken, Masako Owada had no idea what her life was going to become. In 1986, the Tokyo-born law graduate met the Crown Prince of Japan, Naruhito, who she went on to marry seven years later. The couple has now enjoyed over 23 years together, and given birth to one daughter, Princess Aiko. 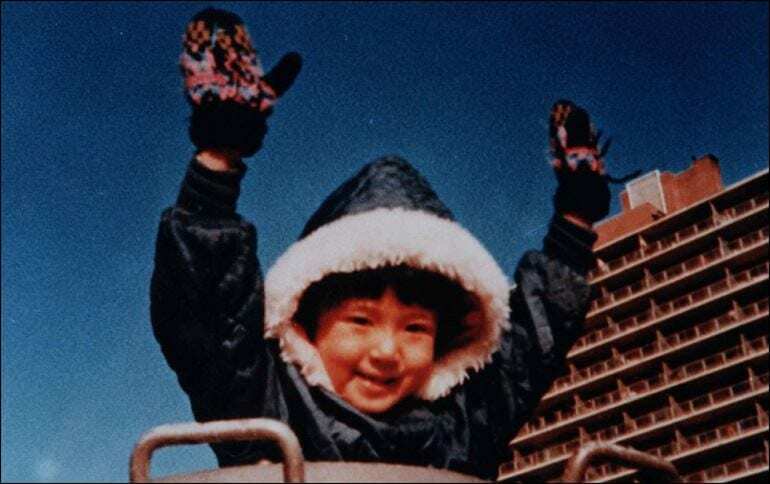 Still, we’re sure that Masako misses those carefree days every now and again.